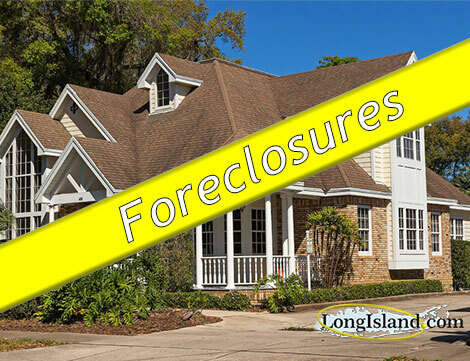 Do you know someone who is facing possible foreclosure on Long Island? If you or someone you know is looking for counseling there are services available to help. By working with a local, government sponsored non-profit you can get valuable assistance and hopefully avoid foreclosure. Since 2008, Long Island has been struggling with the backlash of the economic downturn. Foreclosures have simply skyrocketed on Long Island. According to a study issued in June 2012 by New York State’s Comptroller, Thomas P. DiNapoli, the first quarter of 2011 showed that Nassau and Suffolk counties had the 2nd and 3rd highest rates of foreclosure in the state of New York. Additionally, the report showed that there were almost as many foreclosed homes in Suffolk County as there were in the previous four years combined. Suffolk County has accounted for 85% of all foreclosed homes in Long Island in 2010 and Nassau County accounted for more than half in 2009. The numbers are telling and many families have had no choice but to move away or become homeless. The foreclosure process in New York State is currently taking over 900 days to complete. Resources are available for homeowners who are teetering on the edge of losing their homes through the U.S. Department of Housing Development (HUD) affordable housing programs and foreclosure avoidance counseling. Additionally, programs are available for Veterans who are facing homelessness through the HUD VASH program. Call the National Center for Homeless Veterans Assistance at 1-877-424-3838. If you are a first time homebuyer, there are great opportunities to purchase foreclosed homes as banks are overloaded with properties and are responsible for the yard and upkeep on those homes. Some investors have joined forces with local groups who are teaching unemployed folks how scout out and purchase foreclosed homes as a way of providing employment and creating housing for those in need.